January Studio AE Blog Hop from Technique Tuesday | A bit of this. A bit of that. The time has come again for another Studio AE Blog Hop. 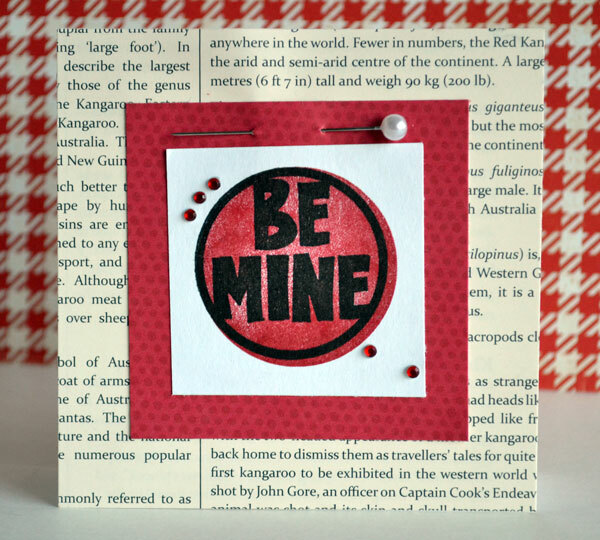 This month, the team is sharing ideas for new Be Mine by Ali Edwards stamp set. I went a little bit card crazy with it. It’s just such a good card set. The third one is a little tricky! I stamped the red circle by flipping the stamp over, putting it on my block upside down and stamping with it. If you try this at home, be sure your block is clean (I use kitchen soap to clean mine every couple weeks) and grime-free. And make sure your stamp is clean, too. We are going to give away one random prize: $25 gift certificate to TechniqueTuesday.com to someone who comments during this month’s blog hop. The winner will be chosen at random and will be announced on the 16th on the Technique Tuesday blog. thanks for the inspiration – lovely samples here! Love these blog hops each month, you learn new things. I’d never thought to stamp with the backside of the stamp but you get the perfect size match doing that. Cute cards. 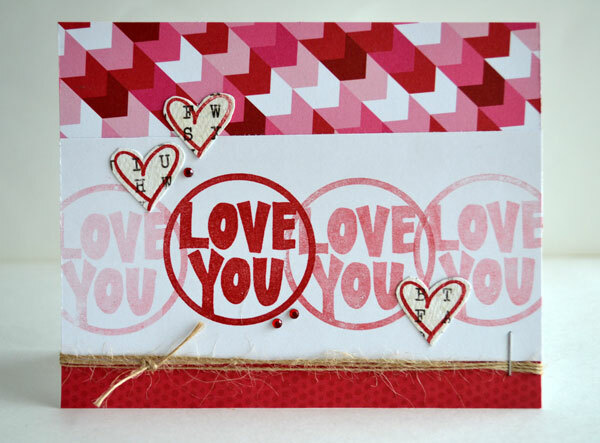 wow what a great hop…so many fun projects and your cards are awesome.. totally love the new release..
Adorable cards. A fun new technique and great stamps. Very cute cards! I love this stamp set! Thanks for the great inspiration! Love all the cards! Thank you for great motivation to making my own again! Cute cards. I love how you used the stamp in 2different ways. Thank you for the tip about using the stamp up side down! Genius! Love the cards you made! I like the one that you stamped with out reinking the sentiment. I will have to try that technique as well! Awesome cards, Teri! You rocked this set. What a terrific idea of reversing your stamp to make a background for your stamp image. I will try this soon! Great cards and thanks for the tip on using the reverse side. Awesome card ideas! Thanks for the inspiration! These cards make me smile! Fun cards! I think that last one is my favorite, love the pin! Great cards! I can’t wait to receive this stamp set! Love your cards. So whimsical and fun. Thanks for sharing. I wish I had 1/100th of your creativity. Great cards using this set. Definitely a fun stamp and I especially love your Love You card. Your cards are great, and while I usually prefer the text backgrounds, I’d have to say that card # 2 is my favorite. Fun and sweet! Your cards rarely fail to make me smile and these are no exception! Thanks for the smile:-)!!! Neat cards and fun techniques!! I love all your takes on the stamp set! The repetition in the first two cards really highlight the stamps, and the newsprint in the third one is a great backdrop against the bright reds. What great cards! My favorite is the live you card. I love your creations! You always give great ideas. Great cards – thanks for showing all three!!! Ingenious use of a stamp (#3)! Beautiful cards!!! I especially love the newsprint/book background card. Great cards! Love this stamp set. Thanks for this great tip ! I never use the other side of my stamps !!! Now I have plenty of new ideas !! Not one but three cute cards! Thanks for the tip on using the back of the stamp! This has been a fun blog hop! I have to remember to try your “flip” technique. That’s a great idea. ALL of your cards are adorable!!! Thanks for the reminder about using the solid side of the shape! Great cards, Teri! I especially like the second one, where you stamped the image, then stamped it again lighter several times. Nice effect! All 3 cards are super duper!!! I want this set!!! Love your cards! Each so different but yet a continuity between them! Love the reverse of the stamp tip too. Thanks so much for the inspiration! Oooh, You make me want to do some Valentine’s cards now! Love the cards and that stamp set! Thank you for sharing! I always get great ideas from your creations. I trully think this month’s Studio AE set is going to give me the shot in the arm I need to make some cards … something I haven’t done in years. It’s perfect for Valentines and year round. 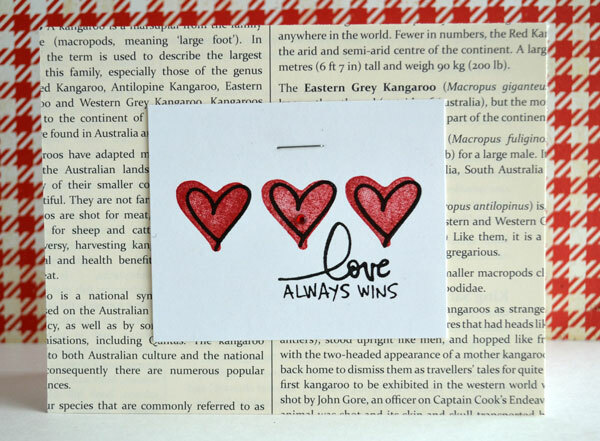 I like the newsprint with the hearts. Love the cards. Great inspiration. Thanks. Super cute. Love the background of the print. Really makes the stamp embellishments stand out. Looking at your 3 cards is getting me inspired to make Valentine’s cards already!! Great job. Your cards are sooooo cute! Love the way you have used the stamps on them! The shadow words are a great idea. love your very doable cards! Thanks for the tip about using the back of the stamps! Great cards. Love your fun cards, Teri! Really cute cards and a great stamp set! Great cards. You must have been inspired by this set of stamps. I love the book background on 2 of them. It really adds to the focus of what you stamped. Wow! I’m impressed by finding not one, not two, but three ideas with the same stamp set! Genius. These are fantastic, Teri! Love them!! Gorgeous cards!! I would love to win! Three great Valentines Day cards! Love the second one and how you repeated the stamp. Thanks for sharing. Love all three of these cards! wonderful cards, love how you used different stamps from the set. thanks for sharing. Love that you showed us 3 cards. Cool techniques.